royalty in ancient China. Chemical analyses have shown that its allegedly remarkable properties are much more than superstition or mere folklore. 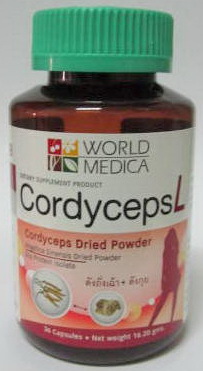 Cordyceps sinensis is a new generation of mushroom being used by the pharmaceutical industry and also as a dietary supplement amongst more informed consumers seeking alternatives to the more conventional treatments for cancer and AIDS as well as a wide range of other health and immune system issues. 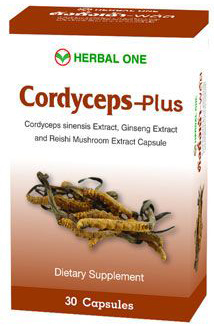 Cordyceps is considered a "food" by the US Food and Drug Administration (FDA) and is classified as "generally recognized as safe" (GRAS). A growing number of researchers now consider it to be a "superfood" that can be included in almost every diet. So why are these rediscovered mushrooms now regarded as superfoods? oxygen molecules are released and absorbed on a cellular level. We know that all forms of cancer cannot exist in an oxygen-rich environment and that without proper oxygen levels the body is left to fall into degenerative states that encourage cancer, heart disease, immune disorders and diabetes, and also allow many viral diseases such as hepatitis C, Lyme's disease and many others to flourish. 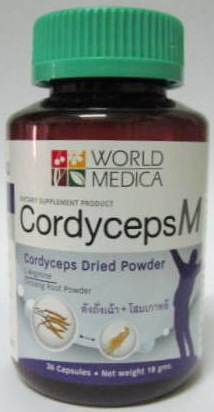 Cordyceps sinensis increases ATP (adenosine triphosphate) levels in the body by almost 28 per cent. ATP is the body's energy supply source—the body's battery, so to speak—and is required for all enzyme processes. It is also now believed that ATP is where cold-fusion ("Brown's gas") processes occur in the body on a molecular level. Although the concept of molecular-level cold fusion is not the subject of this article, I believe this is the root of biological energy exchanges, which will be explored in future writings. The impact on the energy state alone would make this mushroom a true super food.